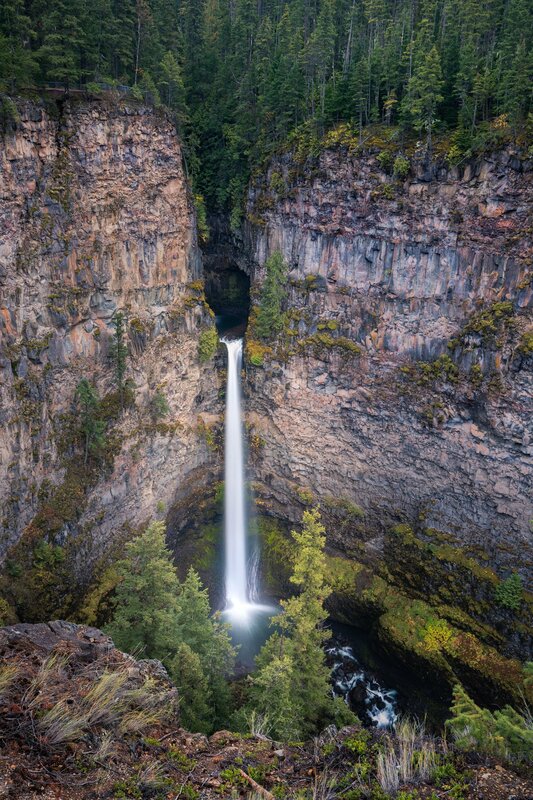 Spahats Creek Falls make for an impressive sight as it plunges 73m (240ft) down to the canyon floor below. The canyon formed due to large volumes of glacial meltwaters pouring over the edge of the Clearwater Valley at the end of the last ice age 11,000 years ago. Spahats is an indigenous term for bear and the stream is also known as Bear Creek. Wells Gray Provincial Park, British Columbia, Canada. Thanks. There are lots of amazing waterfalls in Wells Gray park. Worth the visit. How long ago did you visit? I like the big cut in the rock above the falls.